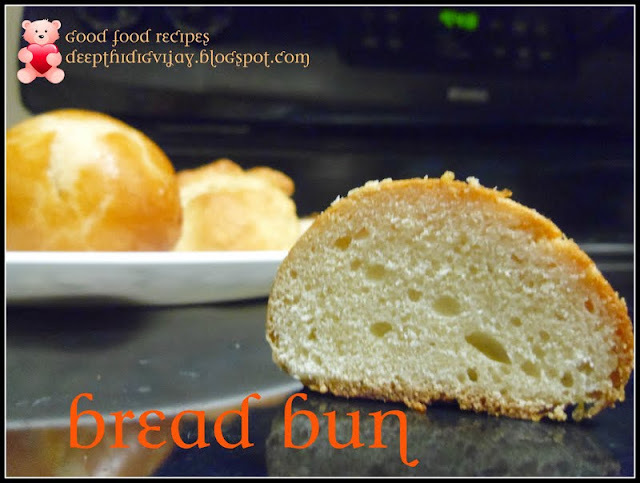 Bread is obviously every ones favorite base for making many different kind of recipes. Bread pakoda is a very crunchy appetizer, you can add more magic to this recipe by adding little freshly made salad to this and enjoy your evenings with a cup of tea. Take the besin flour in a bowl and add ajwain, salt and red chili powder and mix with water. The consistency should be very little thick. 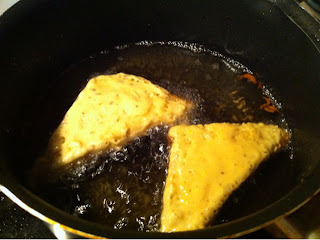 Now take the bread slices and cut them diagonally, forming 2 triangles from each slice and dip the slice in the batter and deep fry them under medium flame in oil. 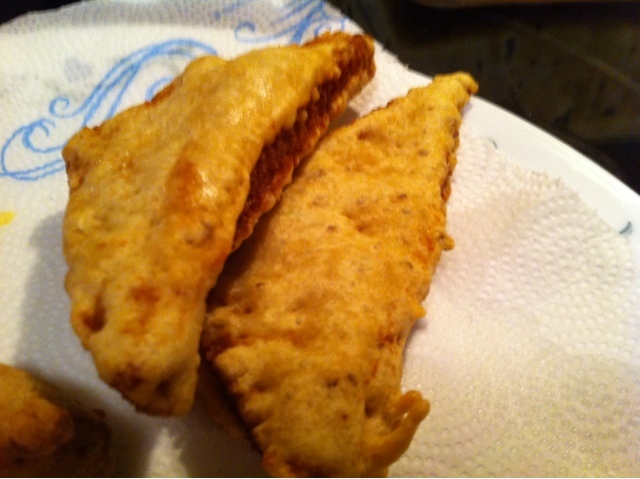 Take them out when both sides are golden brown. Now mix all the salad ingredients in a bowl. Take 1tbsp of this salad/chat and garnish on the top of each bread pakoda and enjoy with s cup of tea. The lemon and chat masala in the salad gives a different taste with the crispy bite of pakoda. we loved it and we wish that you love it too!!! 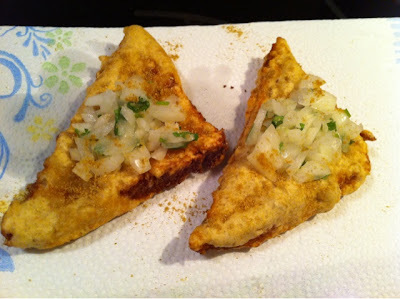 Omg, such a super tempting pakoda chaat..
wow.. a beautiful crispy evening snack..
its a superb blogging site full of excellent informations ! SO I just would like to say thank you to everybody !